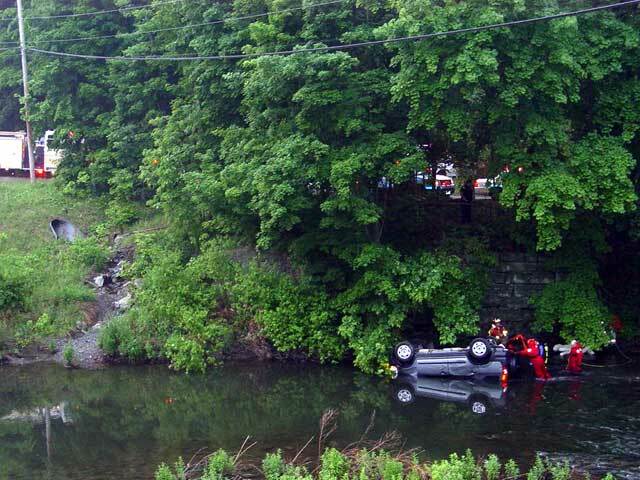 FISHKILL -May 28, 2007 Rombout Fire was dispatched for an overturned vehicle in the Fishkill Creek off Hustis Dr, near the Rt 52 & Rt 82 Split. 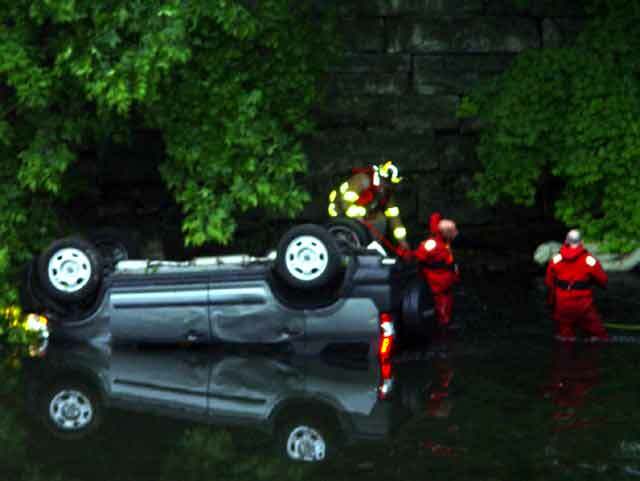 A search of the vehicle and surrounding creek turned up negative for occupants. 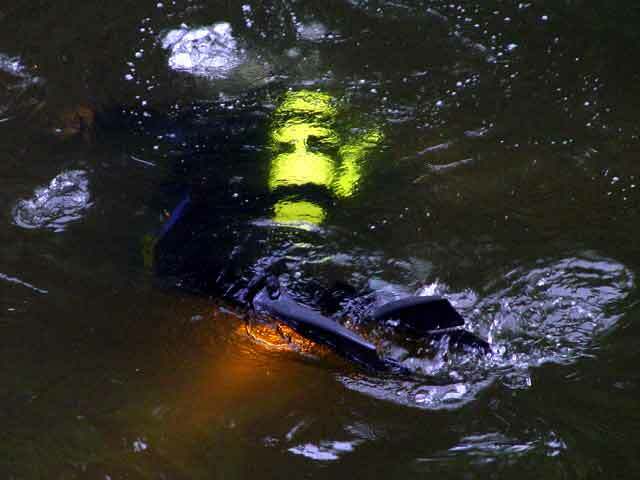 Rombout was assisted by Alamo, Hughsonville with their Dive Team, Dutchess County Sheriffs, and Town of Fishkill Police. 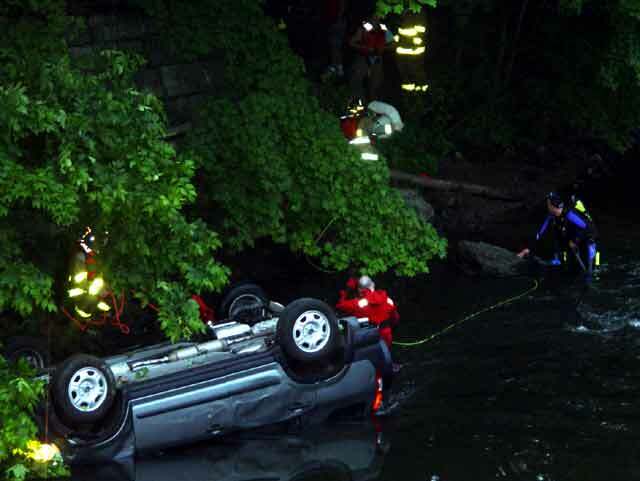 FISHKILL - Town of Fishkill Police are investigating the circumstances surrounding a stolen car winding up in the Fishkill Creek early Tuesday morning. 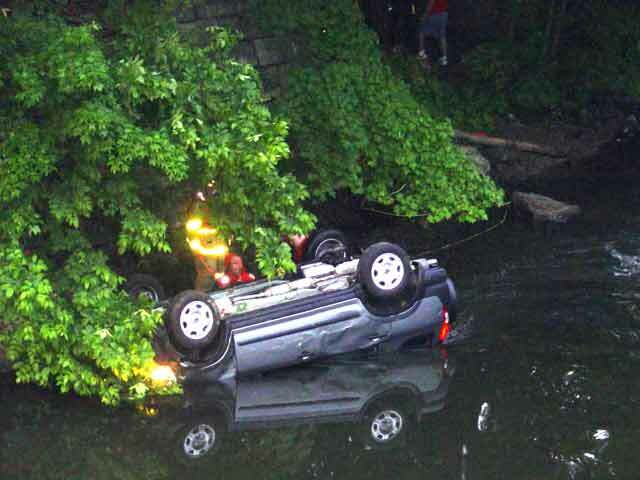 Rombout Fire Department was dispatched around dawn for a reported car rolled over into the creek near the Route 52 bridge. 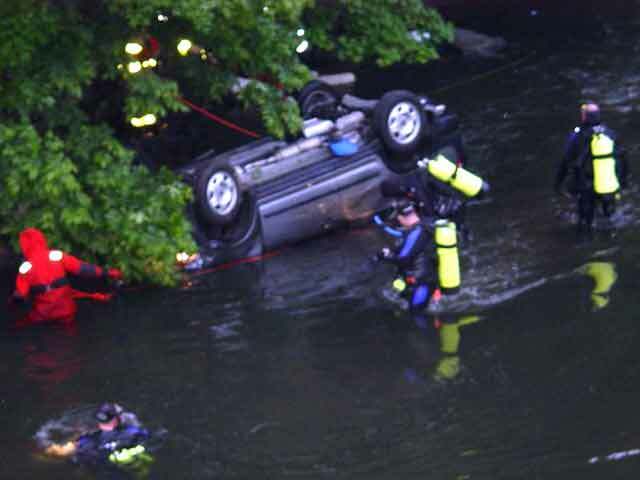 Chief John Lucariello called for Hughsonville Fire Department.s dive team to check the vehicle. 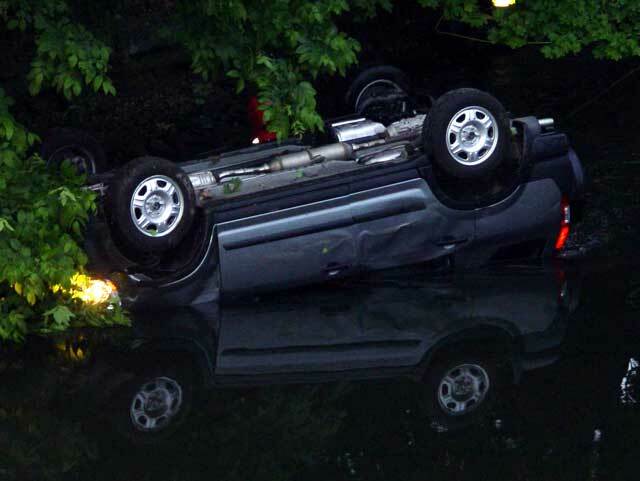 No one was found in the car and Fishkill Town Police determined the vehicle had been stolen. 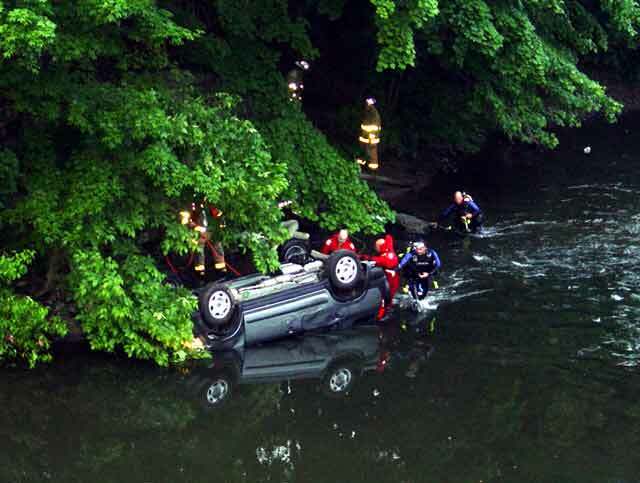 FISHKILL - Police are seeking information on an automobile theft that ended with a car overturned in Fishkill Creek. The Town of Fishkill Police Department Detective Division is investigating the theft of a green 2006 Honda CRV that occurred between 1:30 and 5:15 a.m. Monday. The car, valued at $16,000, was taken from a residence on Riverview Drive in the town. 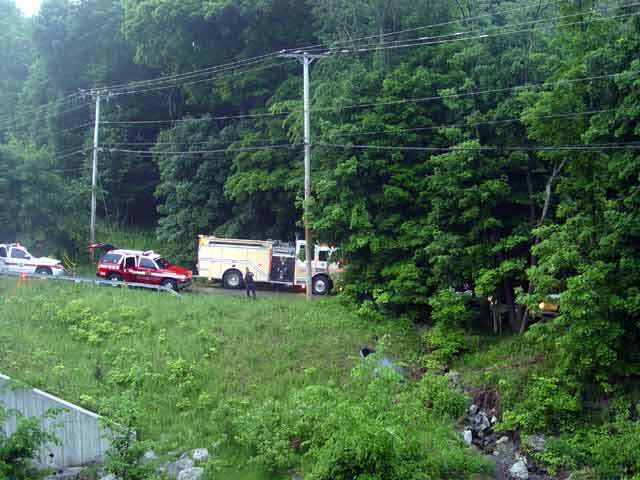 Police said it was intentionally used to damage a mailbox on Wedgewood Drive before being driven off a 35-foot embankment from Hustis Drive, and overturned into Fishkill Creek. Anyone with information is asked to contact Town of Fishkill police at 845-831-1110. Ask for Detective Lt. John Berlingieri or Detective Sgt. Bernardo Scalamandre. Calls will be kept confidential.